Fractal architecture is a complex and elusive concept§that can mean different things in different contexts.§ Drawn from architecture, mathematics and complexity§science and with diverse origins and applications§in each discipline fractal architecture is of§interest both as an isolated concept and as an§example of how knowledge is developed and exchanged§between disciplines. The objectives of the present§work are essentially epistemological; they are§concerned with tracing and critiquing the way in§which ideas shift between disciplines and the hybrid§concepts that are formed in this process. 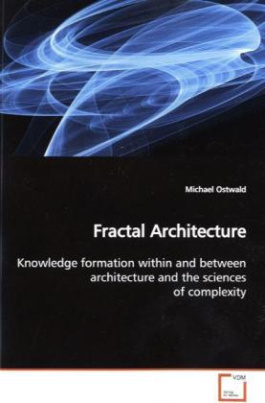 The central§thread traced through this work is fractal§architecture and the primary knowledge domains in§which it is investigated are architectural theory,§design and mathematics. In the process of unravelling§this thread, the present work seeks to answer the§question of whether or not, from any perspective,§fractal architecture is a useful or meaningful concept?